I had heard of a nice craft beer shop in Iidabashi that has been open for a little while and had been meaning to go since they opened. I finally made an effort to go to Iidabashi and I was pleasantly surprised when I did go there and I had a good time. 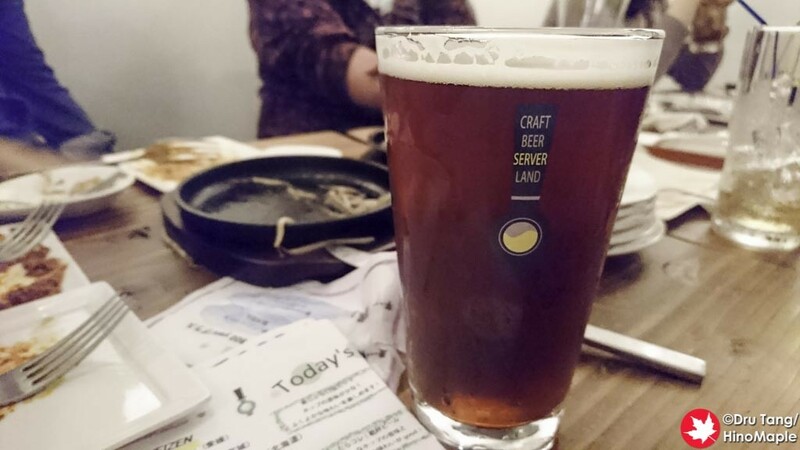 I had no expectations of Craft Beer Server Land and I was happy that I didn’t. 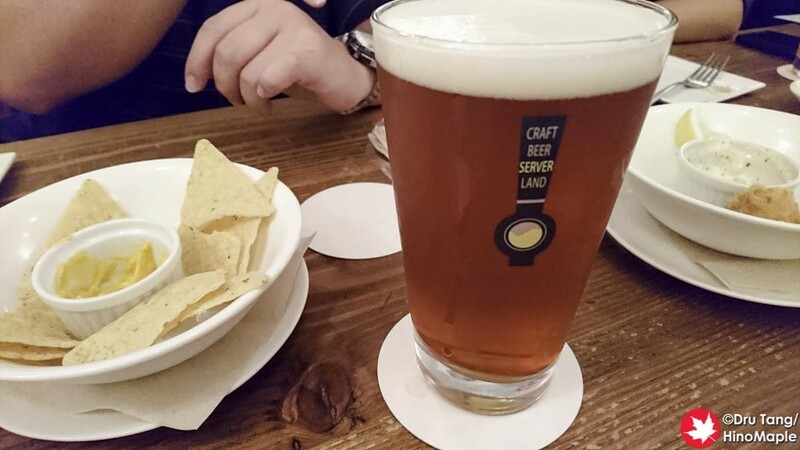 Finding Craft Beer Server Land is pretty easy but finding it using Google Maps was not as easy. Google Maps was pointing me to the wrong location when I was on my way and I was expecting to head from the main street to a small side street. As I was heading up the Kanrakuzaka hill, I stopped to check the map one more time and low and behold I was right at the entrance. Craft Beer Server Land is located in the basement of the building so if you are not paying attention it might be hard to find. Thankfully there are a lot of signs outside and in the stairwell to guide people to the shop. When I got inside I was surprised at how big the shop was. I was expecting a small place but it was a lot larger than I could have expected. The tables and seats were nice but the seats were not very comfortable. They used a lot of wooden stools that were wider than they were long. It was hard to move them around as it was made completely of wood but it was good overall. Being a craft beer shop, I was focused on the craft beer. The selection was really good for the size of the shop and I was happy to try a bunch of different beers. I was a little sad that the IPA selection wasn’t as vast but they averaged about 3 beers per major style and an average customer won’t be disappointed. Unless you drink a lot of craft beer in Japan, like I have, you are likely to find a lot of beers you have never tried before. 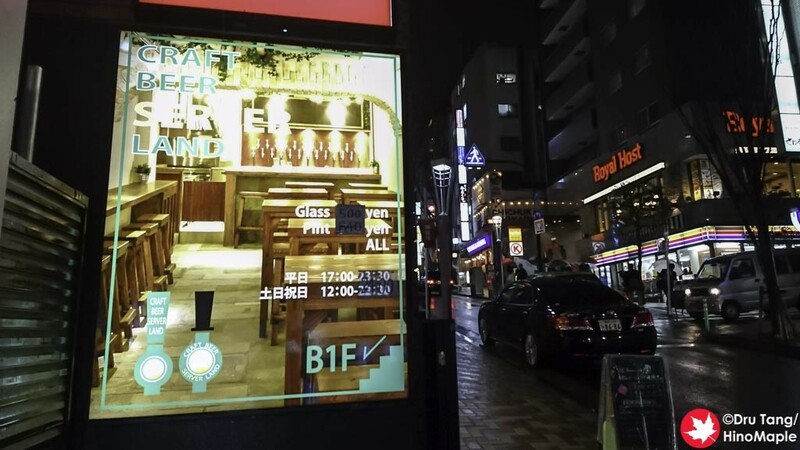 Do be warned that they only have menus in Japanese, so you may have to do a little guesswork when it comes to specific beers and foods. 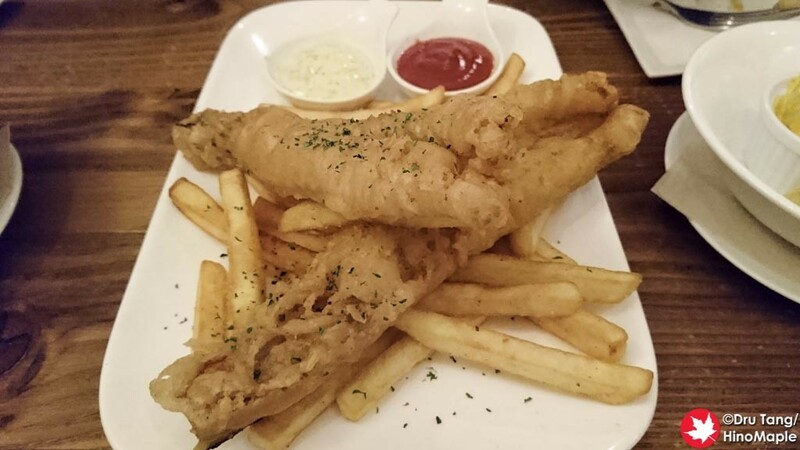 The food at Craft Beer Server Land wasn’t bad but it wasn’t exceptional. I thought that the food was good enough and the prices average for what the place is. We tried a lot of different foods and it was all worth it but nothing stood out as being something that we would really want to have again. 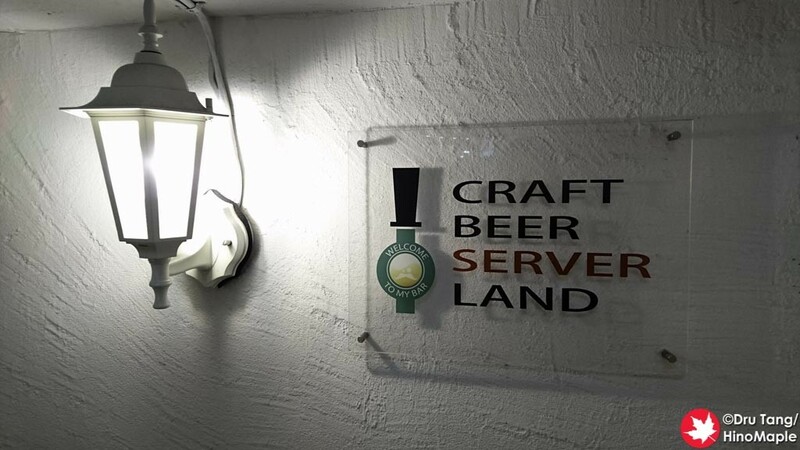 Craft Beer Server Land is a great place and a good place to visit. I don’t know if I would go again, especially on my own, but in a group I would definitely consider it. I really thought they did a good job with everything and they were busy for a Wednesday night. I believe we’ll be seeing them in Iidabashi for a long time to come. 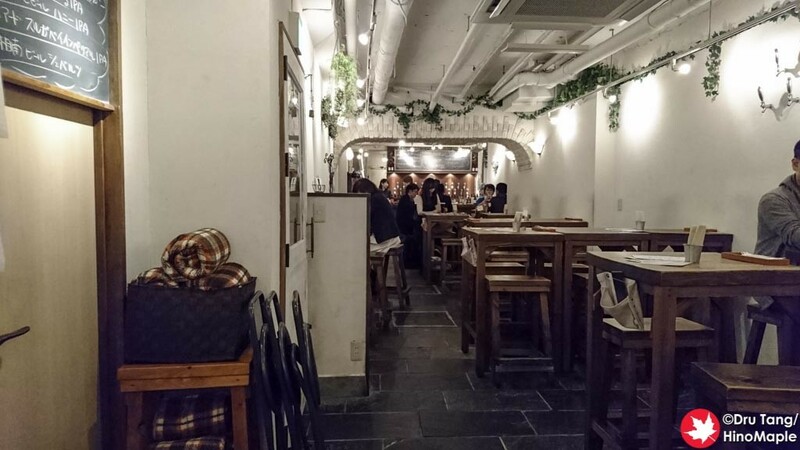 This entry was posted in Tokyo Food and tagged CBSL, craft beer, Craft Beer Server Land, Iidabashi, japan by Dru. Bookmark the permalink.